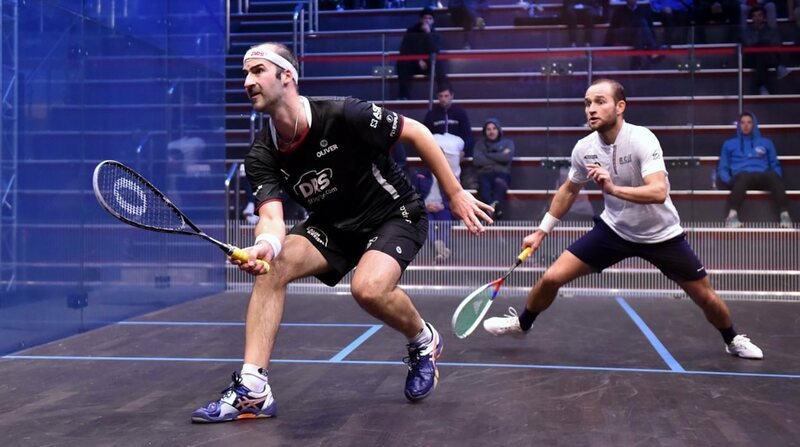 Down to the last sixteen now, with eight matches today to decide the quarter-finalists. 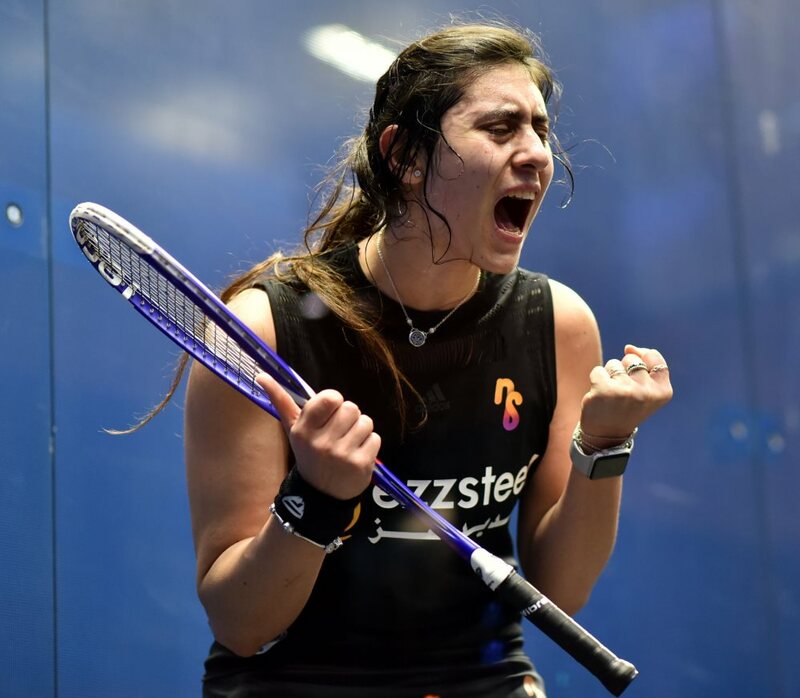 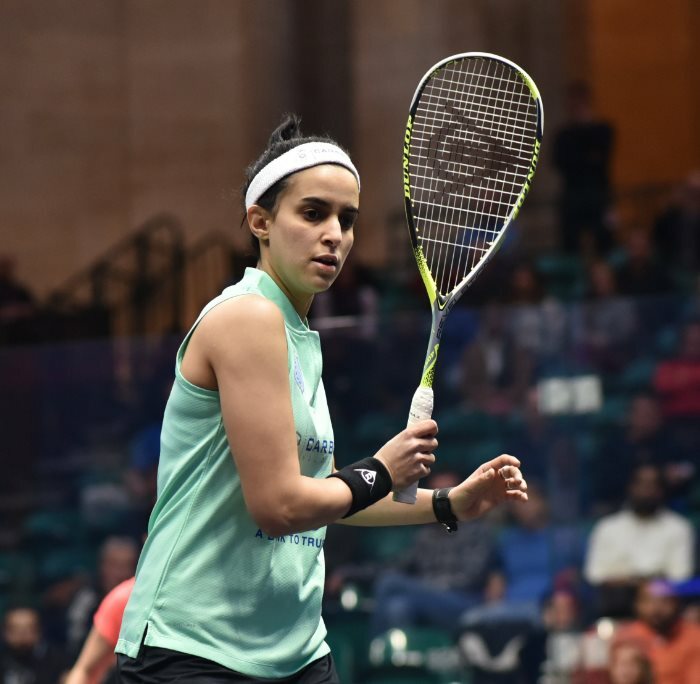 The seven top seeds who started the day – five of them Egyptian – are still in the draw for the quarter-finals, along with India’s Saurav Ghosal. 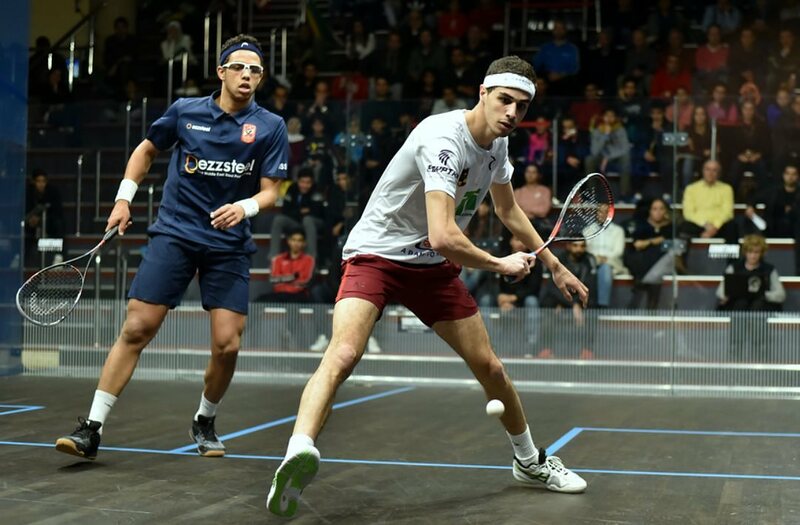 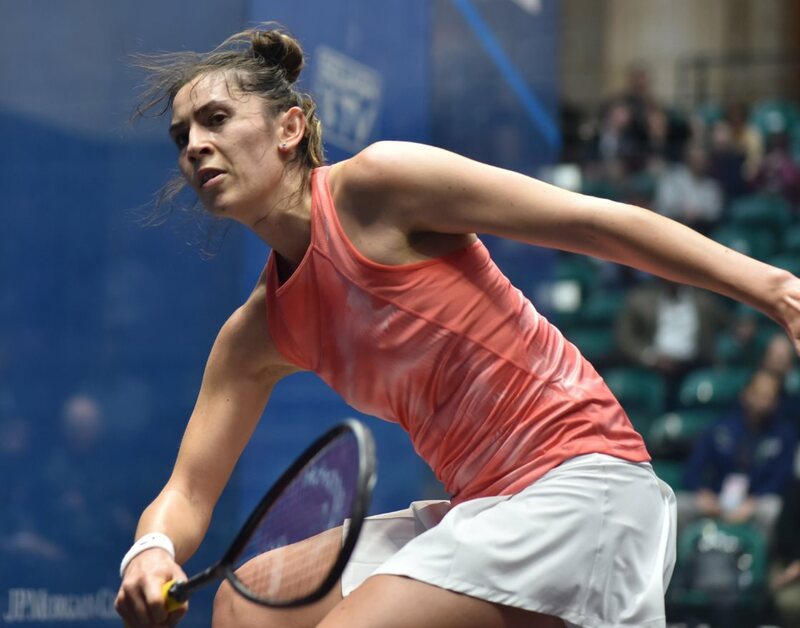 The day started with Simon Rosner having to come back from two games down to deny Frenchman Gregoire Marche, and in the second – also non-Egyptian – match Paul Coll kept a tight rein on Chris Simpson. 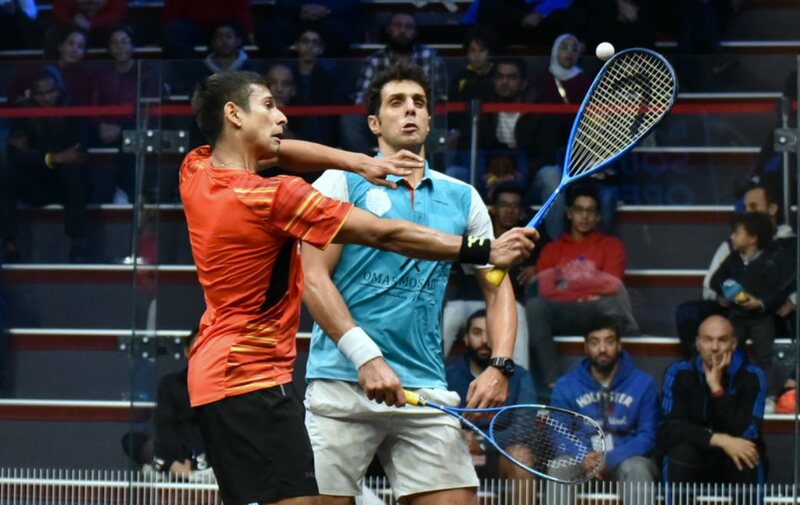 The remaining six matches all featured Egyptians, and Mohamed Abouelghar opened the home account as he beat fast-rising George Parker in four. 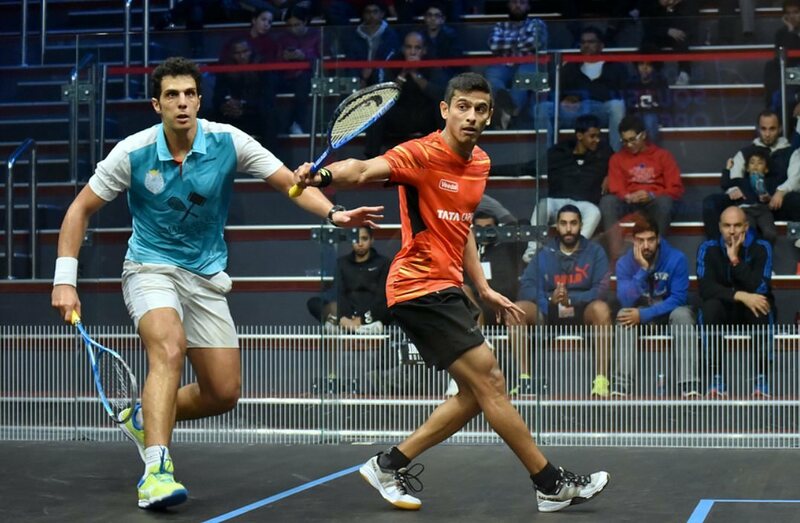 India’s Saurav Ghosal stopped the Egyptian roll as he beat Omar Mosaad, saving game balls in the second before beating a tiring opponent in three. 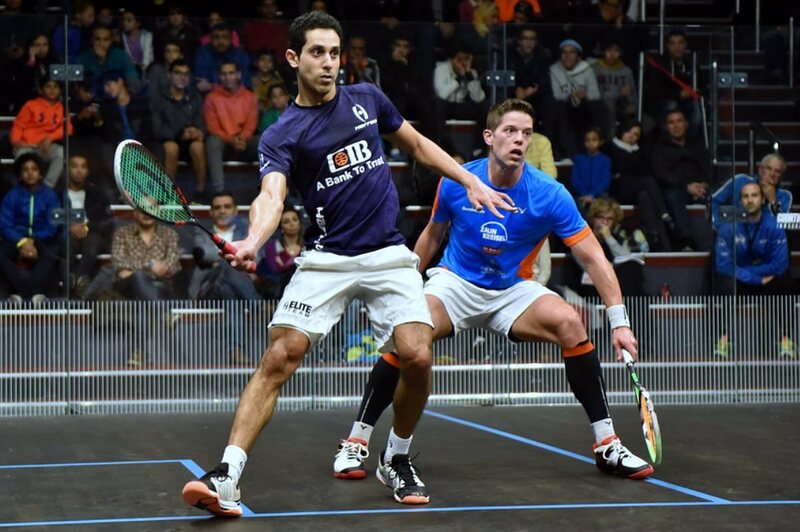 Karim Abdel Gawad and Diego Elias treated the Black Ball crowd to a fabulous four games, Gawad just edging home. 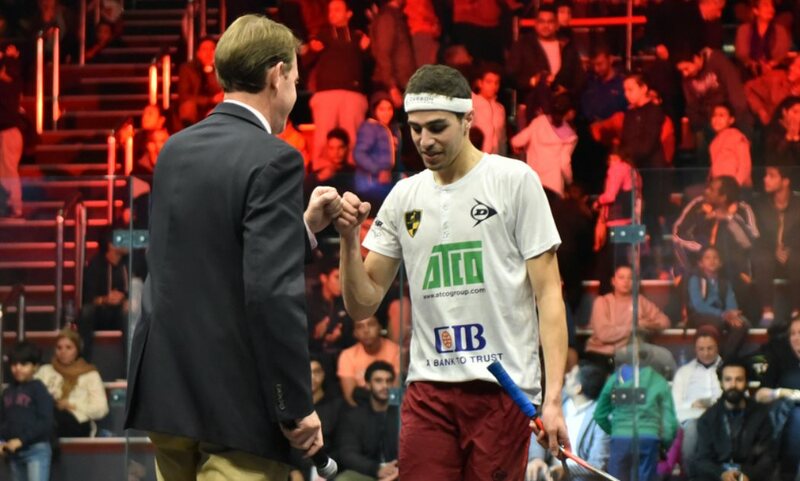 Ali Farag stopped the run of world junior champion Mostafa Asal, like Ghosal saving several (well, 5) game balls in the second before easing home. 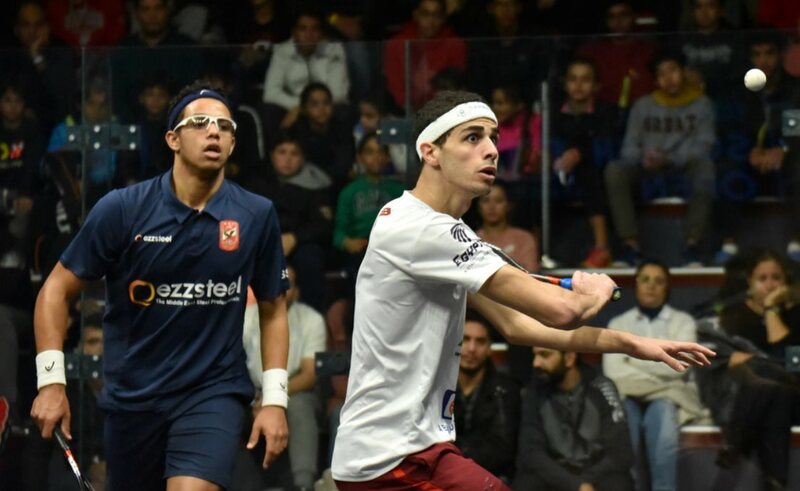 Tarek Momen and Raphael Kandra fought out two fast, attacking games, but after Momen had won them both 13-11 he eased through the third. 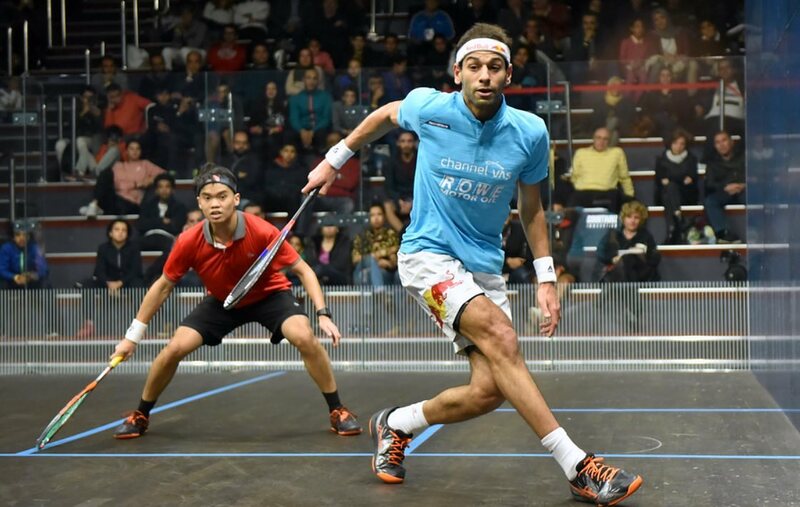 Last up, top seed Mohamed ElShorbagy managed to keep a lid on the rising talent of Eain Yow Ng, but admitted afterwards that it mat not be like that for long. 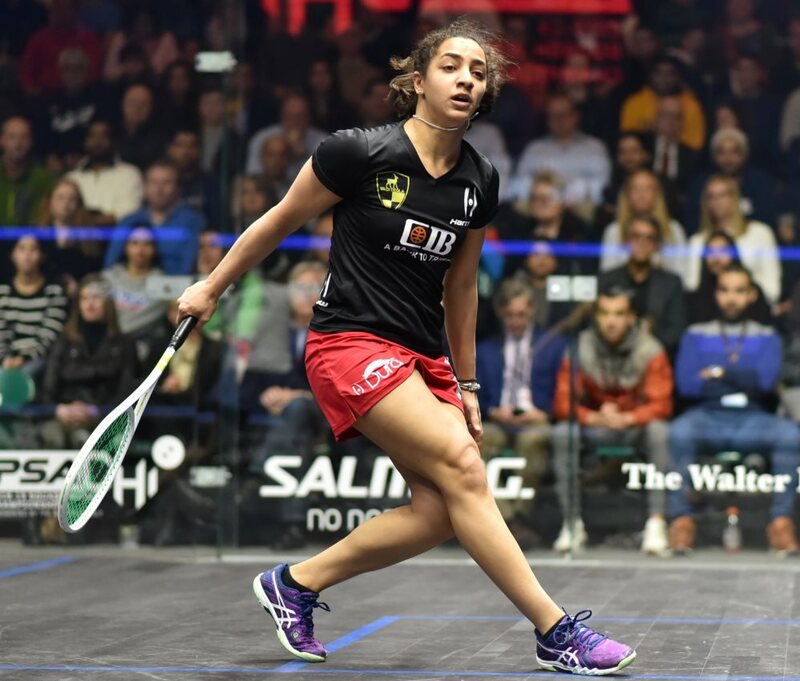 Check out the match reports on the blog – also linked from the results.